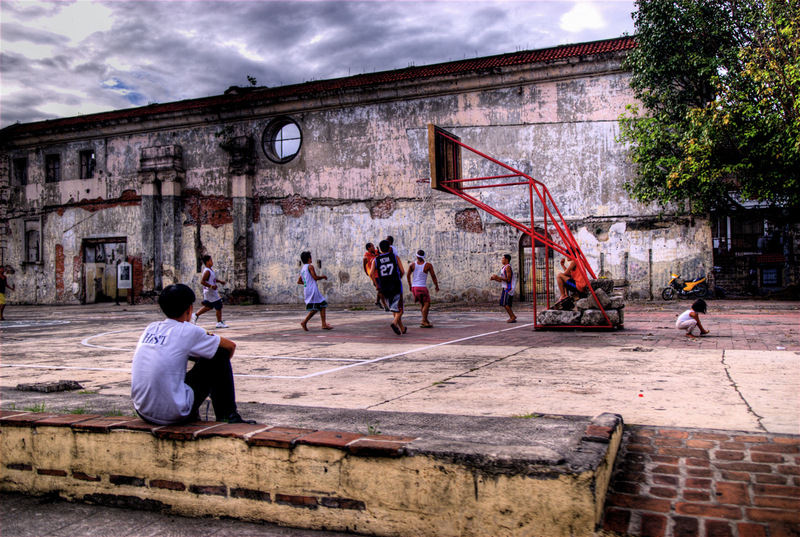 For those who do not work in the juvenile court system, it can seem like a foreign country. Juvenile courts have their own language, their own politics, and their own customs and practices. Moreover, juvenile defense delivery systems vary from state to state, and sometimes even locally within a state. This can be extremely confusing for outsiders, especially for families and young people. Surprising to many, however, is that even those who work within the juvenile court system often have little understanding—or a misunderstanding—of the role of the juvenile defense attorney. NJDC hopes that the information here will help those who are seeking greater understanding of the juvenile court and the role of the juvenile defender. Flowchart on the Juvenile Justice Process: While every juvenile court operates differently, this flowchart is an attempt to show how, in general, most cases can proceed through the juvenile court, from arrest to expungement. Juvenile Court Terminology: The language in juvenile court is often quite different from what one sees on TV, or even what one hears in adult criminal courts. This glossary explains some of the key juvenile court terms and their meanings. As with everything in juvenile courts, there will likely be differences from state to state, jurisdiction to jurisdiction. But this list may help those unfamiliar with juvenile court language understand the process a bit more. 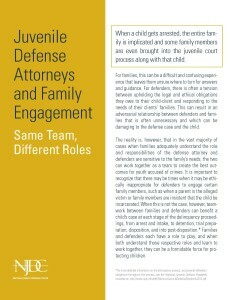 Juvenile Defense Attorneys and Family Engagement: Same Team, Different Roles: When a child is involved in the juvenile court system, it can be a stressful time, not only for the child, but also for the child’s family. While the child gets an attorney to represent his or her legal interests, that attorney does not—and legally cannot—work for the entire family. But that does not mean that families and defense attorneys need to be at odds. In fact, there are many ways that the child’s defense attorney can help the family understand the system and teach family members how to be great advocates for their children. Working together, defenders and families can often be a powerful force for children. Understanding the Role of the Juvenile Defense Attorney: Parents and youth often have an idea of what the juvenile defense attorney’s role should be in a delinquency case. That idea may or may not accurately reflect the juvenile defender’s legal and ethical responsibilities. And the ideas parents have may differ from those that their children have. And all of these may be different from what the police, the prosecutor, the probation officer, or the judge expect of defense counsel. NJDC has a host of resources to help families and other stakeholders better understand the role of the juvenile defender.